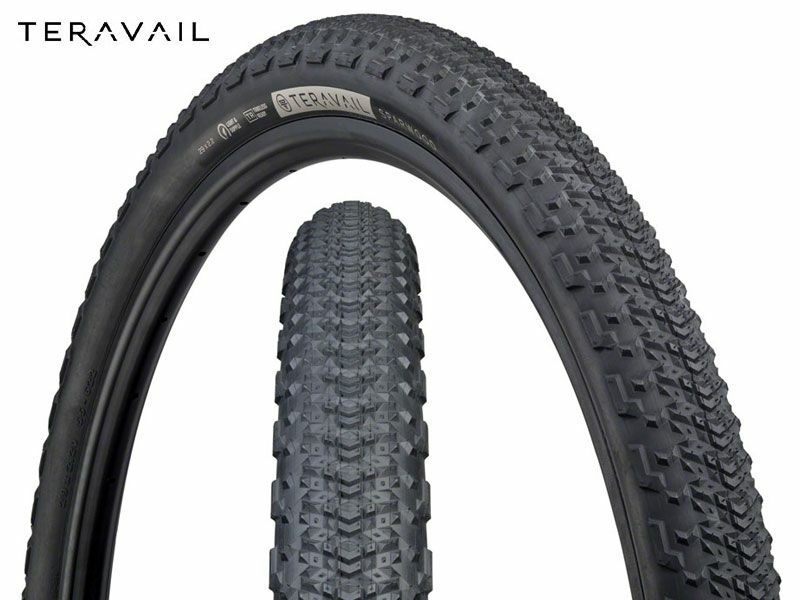 29x2.2" The ultimate Bikepacking tyre. 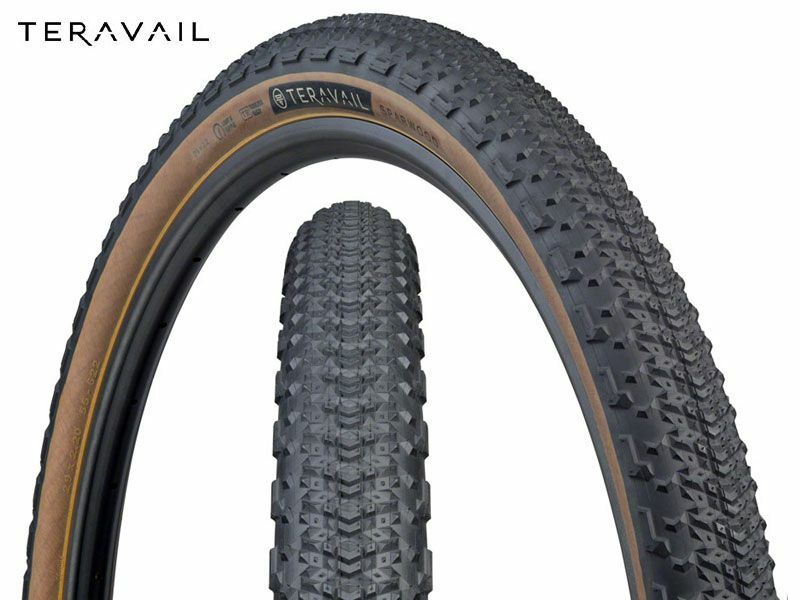 Measuring in at 29 x 2.2”, the Sparwood has bikepacking deeply engrained in its DNA. When navigating routes comprised of jeep roads, twisty singletrack, gravel tracks, and paved connecting sections, we find that a 2.2” casing is the sweet spot. It offers decreased rolling resistance, reduced weight, and excellent maneuverability in a stable 29” diameter. For rim compatibility and more details, go to the Teravail tech page. The durable casing features a layer of woven aramid fiber reinforcement between the outer rubber and the inner casing. This material is twice as strong as Kevlar and lighter in weight than any competitive product. 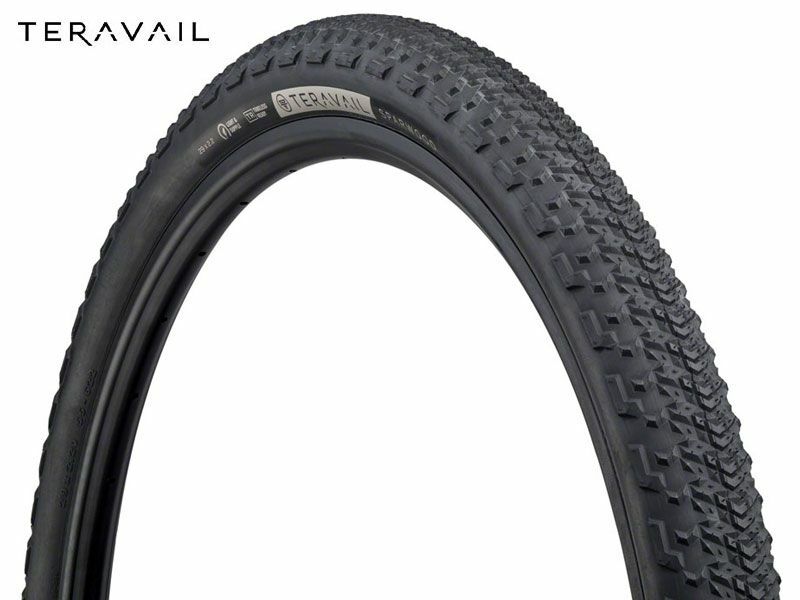 Located under the sidewall of the tyre, it provides moderate protection against abrasion and sharp gravel that may result in a flat tyre. 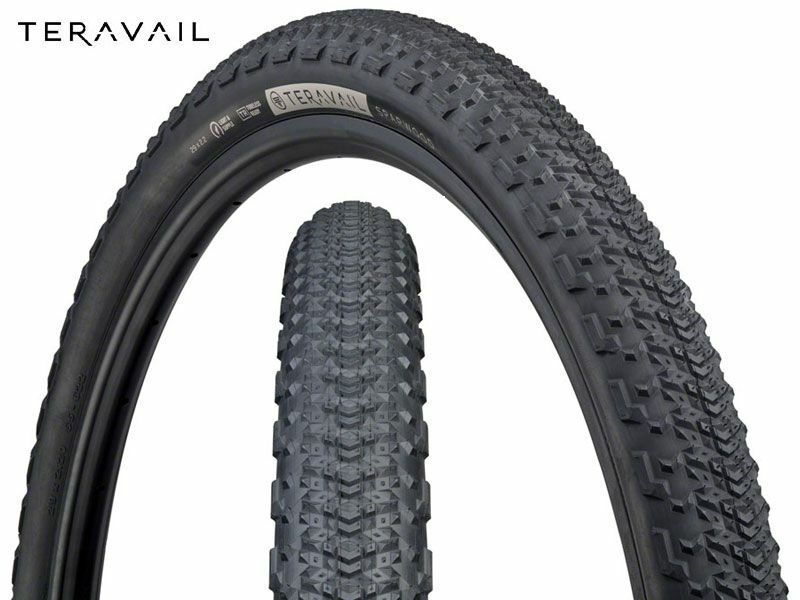 When extra puncture protection isn’t necessary, the light and supple casing offers decreased weight and a comfortable, ultra-supple ride quality at lower pressures when set up tubeless.